HYANNIS, Mass. – It was yet another successful year for Cape Cod Baseball League alumni in the first round of the Major League Baseball First-Year Player Draft, as 10 of the first 36 picks on Monday night donned a CCBL uniform. Nearly half of the 22 college players selected in the first round and the competitive balance round were alumni of the CCBL, with three of the first four collegiate players off the board competing in the famed league. "We would like to congratulate the ten college student athletes who were selected in the first round [and competitive balance round] that played recently in the CCBL," said Commissioner Paul Galop. "We are extraordinarily proud of their accomplishments and pleased that the CCBL continues to showcase the finest collegiate players in the country. This is a day that also rewards the hard working volunteers in the CCBL that tirelessly work year round to achieve this unparalleled success. We are so proud and grateful!" 2015 Bourne Brave Brendan McKay was the first Cape Leaguer to hear his name called on the night, going fourth overall to the Tampa Bay Rays. McKay, who was announced as a first baseman at the draft, played in 12 regular season games for the Braves in the summer of 2015, batting .283 over 46 at bats. 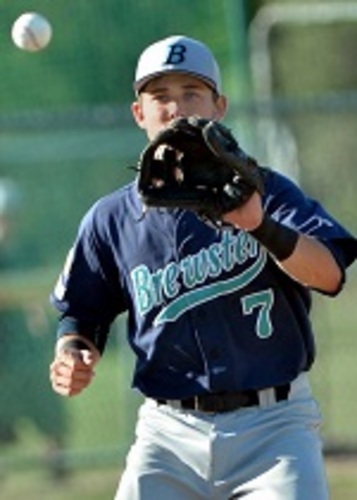 He tore up the Cape League playoffs, batting .357 with 5 runs scored in four postseason games for Bourne. First baseman Pavin Smith (Harwich Mariners ’16) and outfielder Adam Haseley (Orleans Firebirds ’16) followed soon after as the seventh and eighth picks in the draft, landing in Arizona and Philadelphia, respectively. 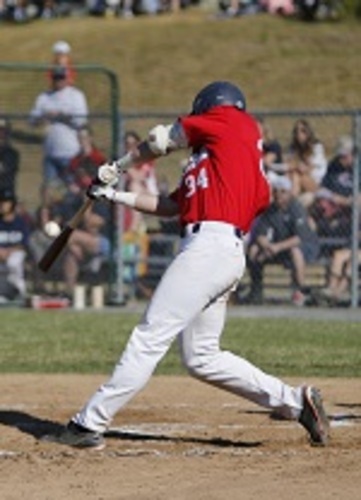 Smith impressed last summer on the Cape, hitting .318 in 38 games with Harwich, adding 4 homers and 18 RBI. He had the number six batting average in the Cape League, and finished fourth overall with a .394 on-base percentage. Haseley hit .266 in 41 games with Orleans last summer, but got on base at a .352 clip. Smith and Haseley were teammates at the University of Virginia. Next off the board was J.B. Bukauskas (Chatham Anglers ’16) of North Carolina, slotting in at No. 15 to the Houston Astros. Bukauskas worked 9 2/3 innings in 2 starts and finished with a 3.72 ERA. He impressively struck out 17 men while walking only two on the Cape. Logan Warmoth (Brewster Whitecaps ’16) went 22nd overall to the Toronto Blue Jays, followed by Jeren Kendall (Cotuit ’15 & ’16) at No. 23 to the Los Angeles Dodgers. Warmoth a shortstop, hit .270 and scored 18 runs for the Whitecaps last summer, adding 4 home runs and 19 RBI. Kendall played two years on the Cape as a member of the Cotuit Kettleers, doing most of his damage in 2015, when he hit .253 with a .330 on-base percentage over 20 games. Brendon Little, a left-handed pitcher from Bourne, was selected 27th overall by the Chicago Cubs. Little struck out 29 in 22 innings pitched, and opponents hit just .228 against him. Little was the final CCBL alumni selected in the first round, however the league had three players selected in the MLB’s competitive balance round. 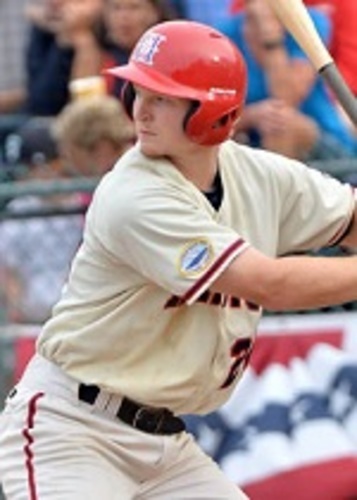 With the 33rd overall pick, the Oakland Athletics selected former Falmouth Commodore Kevin Merrell. At No. 35, the Minnesota Twins chose Brewster’s Brent Rooker, before the Miami Marlins closed out the round with the selection of Orleans outfielder Brian Miller at No. 36 overall. Brendan McKay (Bourne ’15), Louisville, selected by Tampa Bay Rays in the 1st round, 4th overall pick. Pavin Smith (Harwich ’16), Virginia, selected by Arizona Diamondbacks in the 1st round, 7th overall pick. Adam Haseley (Orleans ’16), Virginia, selected by Philadelphia Phillies in the 1st round, 8th overall pick. J.B. Bukauskas (Chatham ’16), North Carolina, selected by Houston Astros in the 1st round, 15th overall pick. Logan Warmoth (Brewster ’16), North Carolina, selected by Toronto Blue Jays in the 1st round, 22nd overall. Jeren Kendall (Cotuit 15 & 16), Vanderbilt, selected by the Los Angeles Dodgers in the 1st round, 23rd overall pick. Brendon Little (Bourne ’16), State College of Florida, Manatee-Sarasota, selected by the Chicago Cubs in the 1st round, 27th overall pick. Kevin Merrell (Falmouth ’16), University of South Florida, selected by Oakland Athletics as the 33rd overall pick. Brent Rooker (Brewster ’15 & ’16), Mississippi State, selected by Minnesota Twins as 35th overall pick. Brian Miller (Orleans ’16), North Carolina, selected by Miami Marlins as 36th overall pick. Overall, the CCBL had seven teams represented in the first round and the competitive balance lottery, with Orleans, Bourne and Brewster each having two players selected in the first 36 picks. Three of the CCBL draftees played collegiate baseball at North Carolina, while a pair of Virginia Cavaliers were selected out of the Cape League.